PARACHUTING EQUIPMENT. WE TRAIN PEOPLE FROM THEIR FIRST JUMP TO INTERNATIONAL COMPETITION LEVELS. 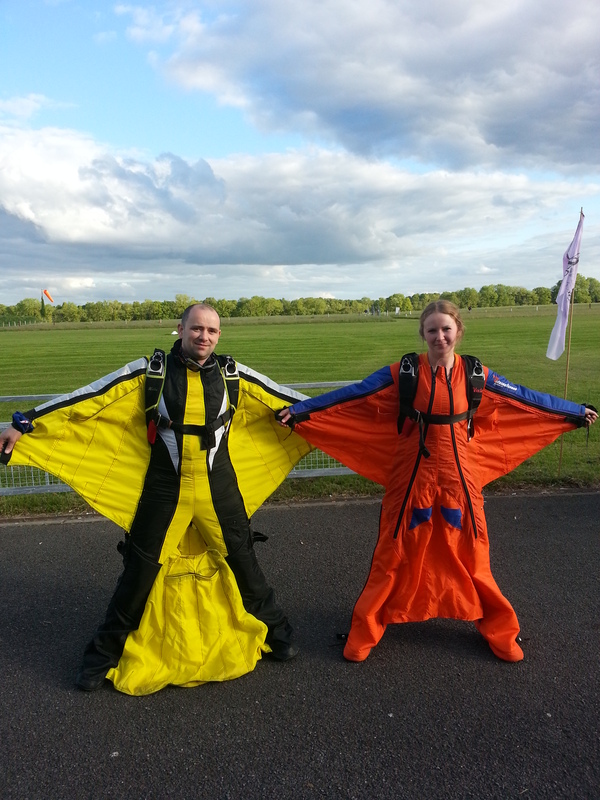 We are the only training skydive center in Ireland to offer three different types of Jumps. TANDEM SKYDIVE where you are securely attached to a highly skilled Tandem Master in a parachute System especially designed for 2 people. 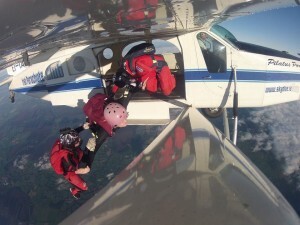 The Tandem instructor does the work during the skydive. When the Tandem instructor opens the giant parachute –made –for two you will help to steer it to the landing area. If you do a tandem skydive with us we will also give you a big discount if you decide to come back and do one of our solo options. SOLO JUMP Static Line where you jump on your own, but the main parachute is opened automatically as you leave the aircraft. The most modern type of equipment is used and checked to the highest standard.We will teach you how to fly and land y our parachute on your training day, which normally takes around 6 hours. AFF Assisted Free Fall – Where you will jump with two highly qualified instructors from 13,000ft. Your instructors hold onto you until you reach 5,500ft where you will then be assisted in opening your parachute. You are taught how to fly your parachute and land on your training day. AFF has become very popular in Ireland and students love the experience of freefall from 13,000ft. We have over 56 Years’ experience of sport parachuting and we have the best facilities in Ireland with viewing areas for families, bunk houses, showers, camping facilities and canteen. We run sponsored Charity Jumps and events which raise much needed funds and you can also do a charity jump for one of your local charities. If you need any information about the jumps that we have to offer just ring us on 00353 1850 260 600.